I'm going to replace the third arm bearing in my '60. I am going to do a complete front end rebuild sometime in the near future (hopefully), but right now I am getting up and down movement on the third arm when I turn the wheels when it is up on jackstands. So I think my bearing must be bad. 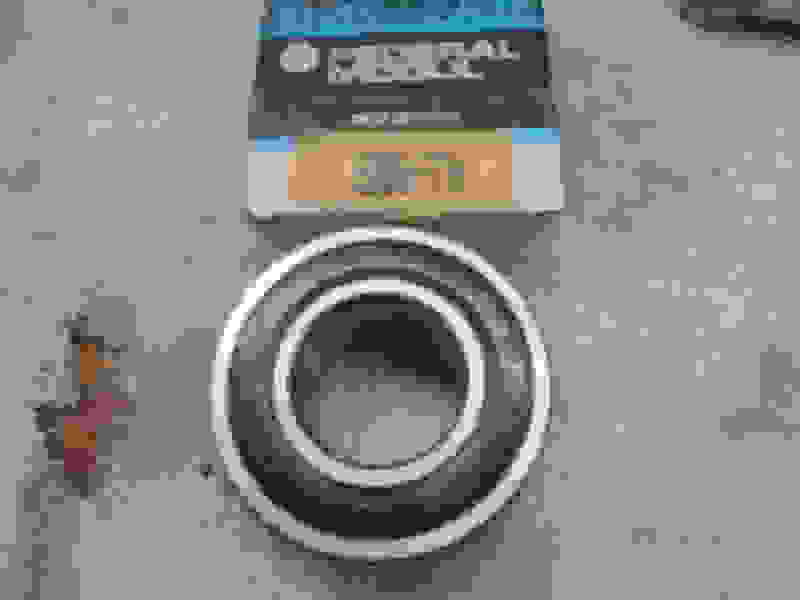 I have saved PDF's from previous threads on rebuilding the front end, but I have a couple of questions specific to the bearing replacement that I didn't see covered in those articles. I know the big vendors carry the bearing, but those are all Chinese and I do not want to go that route. I found this bearing on Ebay, which is the same number shown in a thread from 2014. A) Can anyone confirm this is the correct bearing I need? 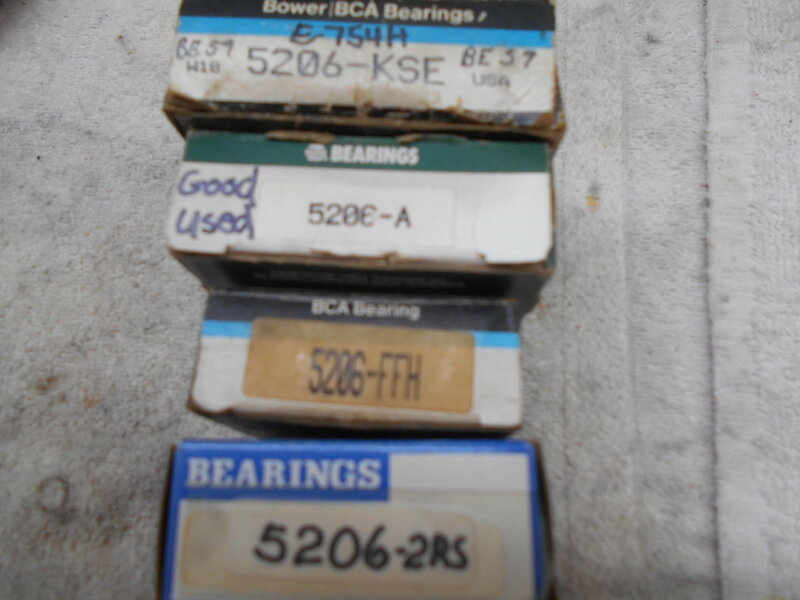 B) Other 5506 bearings I have seen have a snap ring groove, but I believe that style is NOT the correct bearing. Am I corrrect there is no snap ring groove in the bearing for the third arm? I have read the bearing seals from the vendors are not really worth buying. A) Assuming my present seals are bad, does anyone have a recommendation for an alternative seal? 3. REMOVE JUST THE UPPER THIRD ARM ONLY. As I am doing just the bearing only at this time, I am hoping I can remove just the upper half of the third arm and not have to remove the lower part that is bolted to the crossmember. A) Can I remove just the upper half of the third arm by unbolting the tie rods ends and drag link from the pitman arm and then removing the bearing stud nut and pop off the third arm? B) If I can do it that way, will I need to get the front end realigned when I put the third arm back on? Last edited by 427390HP; 02-27-2018 at 12:57 PM. 1. CORRECT BEARING. I know the big vendors carry the bearing, but those are all Chinese and I do not want to go that route. 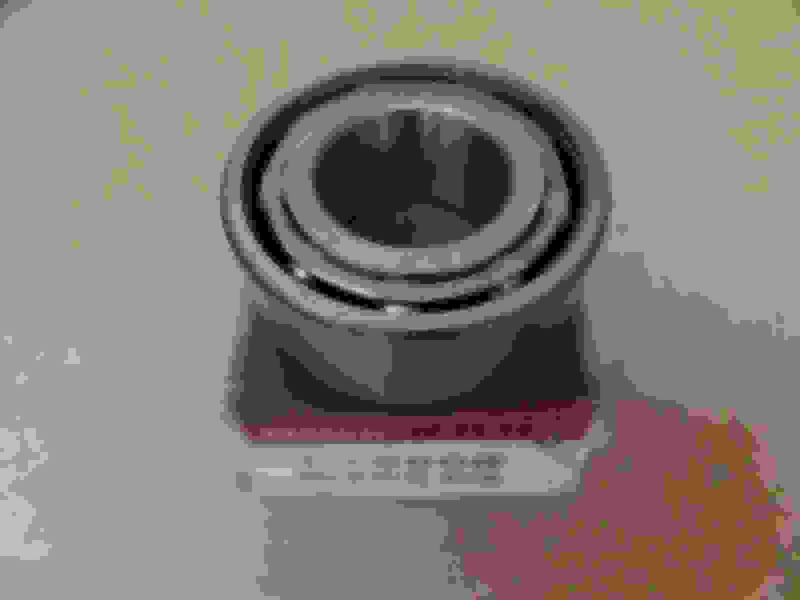 I found this bearing on Ebay, which is the same number shown in a thread from 2014. 2. REMOVE JUST THE UPPER THIRD ARM ONLY. As I am doing just the bearing only at this time, I am hoping I can remove just the upper half of the third arm and not have to remove the lower part that is bolted to the crossmember. Thanks Dave. Yes, that is the thread I had read earlier. Thanks John. I do like the sealed bearing over the one I posted, except for the price. $44 for the Timken vs $6 for the NDH. Don't mean to hijack the thread, rather just to ask a related question and get educated...what's the best way to determine whether or not the third arm bearing needs replacement ? Turning the wheels with front end elevated & looking for up and down movement of the 3rd arm as mentioned or another way ? Can someone please clue me in on this ? Thanks. There should be virtually no up-down movement of the center steering arm. If there is side-to-side movement, then other parts of the steering/suspension are loose. The bearing is a snug fit in the pocket and the big bolt that goes through it should retain it firmly. 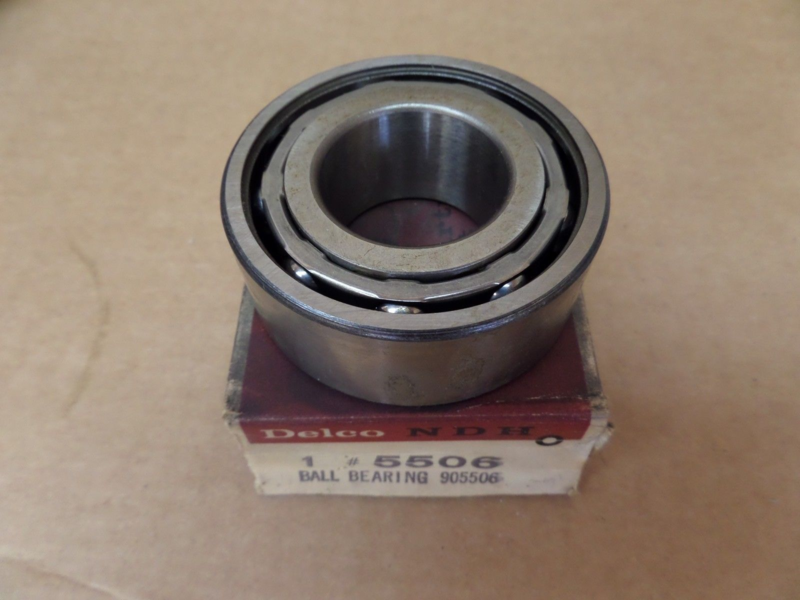 Thus, no up-down movement, if the bearing is in excellent condition. In the past, when it became obvious that some parts (such as bearings) were becoming increasingly difficult to get------------as well as pricy, I would buy them when I could. I now have a few versions of the 5206 bearing for the center steering arm. Some are sealed on both sides, some are sealed on one side (with a shield on the other side) and some are open. The best that I have run across so far is the BCA/Federal Mogul 5206FFH. It has good seals on both sides. I don't think I've paid over $25 for any of them. 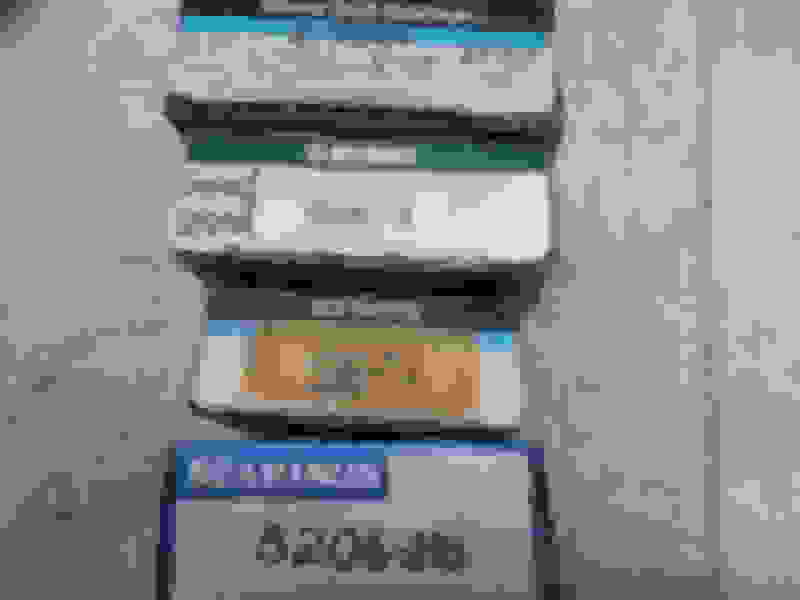 I have about 10 on the shelf, including 2 EXCELLENT used ones, one of which is an original New Daparture.